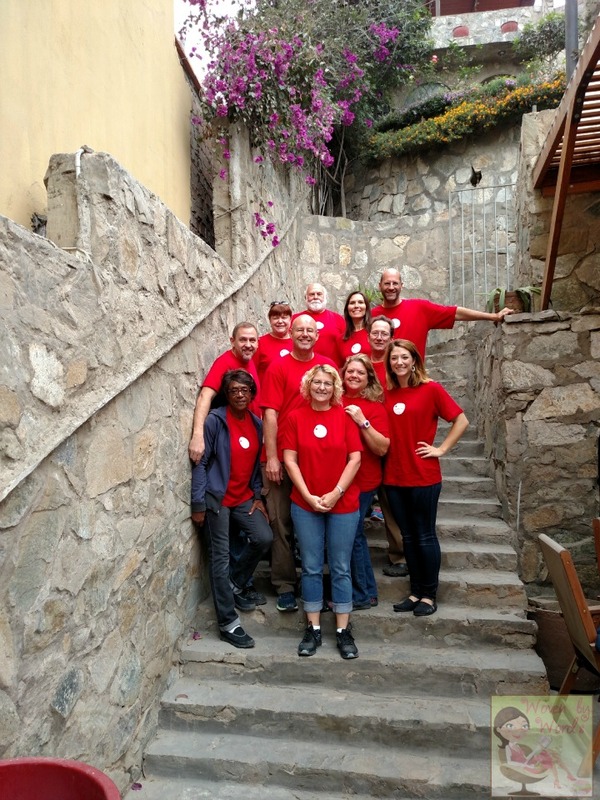 You may have noticed I've shared a bit about our trip to Peru in October. What an amazing week that was. When we were down there, just like last time, I bought a sweatshirt as a memento. Unfortunately, that sweatshirt, along with the other sweatshirt, shrank. When I sent them the information, I asked of there was any way they'd be able to get everyone together in the locket. That was the whole point of me sending this photo. Well, thankfully, that's what they do! They have a "Special Instructions" section so "You'll be able to add "special instructions" about your photographs to your order later. For ex: Bring people closer together. Remove Background. Remove red eye, etc." 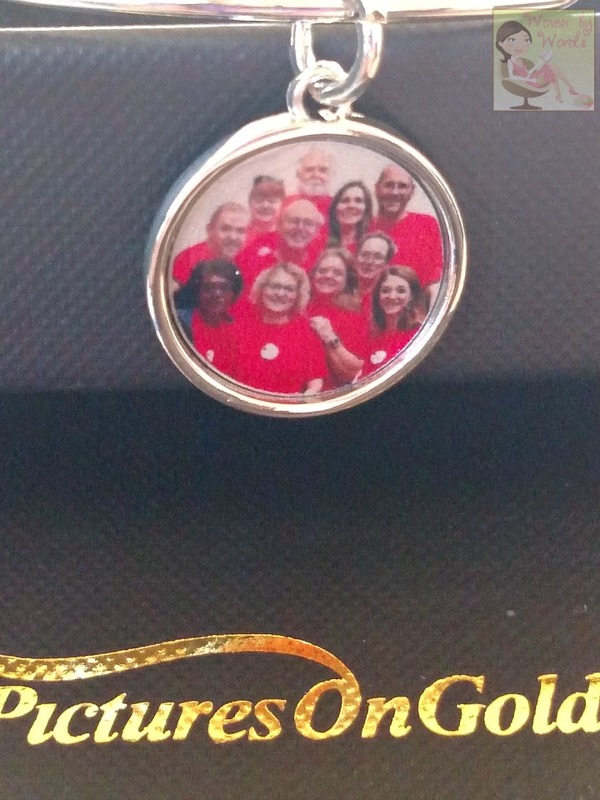 For $10 they'll even merge two photos so you can have people in different photos on one charm! I have really started to love bracelets, and I love how simple this one is. It will go with anything I wear, and it will make a fabulous conversation piece. Yes, I could've gone with the traditional picture of my kids, or I could've done one of me and the hubster, but as I was scanning through my photos, this one just grabbed my heart. Now, the first photo is a super close up, so the faces are kind of blurry, but it should give you a great idea of how awesome the charm is. As you can see, the image isn't in the exact replica of the original. There's no way it was going to be, and I knew that. But you can see they bunched everyone together like we're set up in the top photo. When I saw this, I actually had to go back and forth to realize what the differences were. 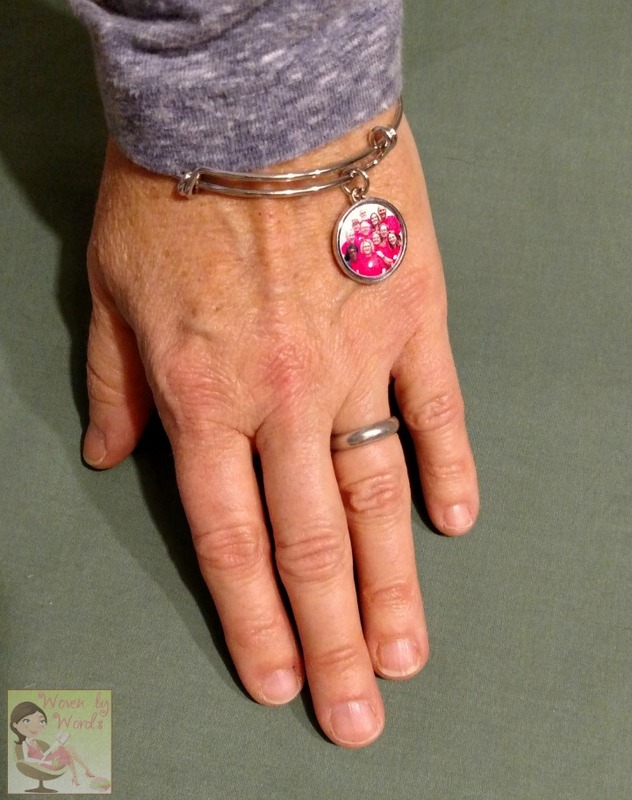 If you're looking at personalizing a gift this year, this sweet bracelet would be a great way to go. Use code famguide10 to save 10%! Who would you personalize your charm for? That's very pretty, it looks great! 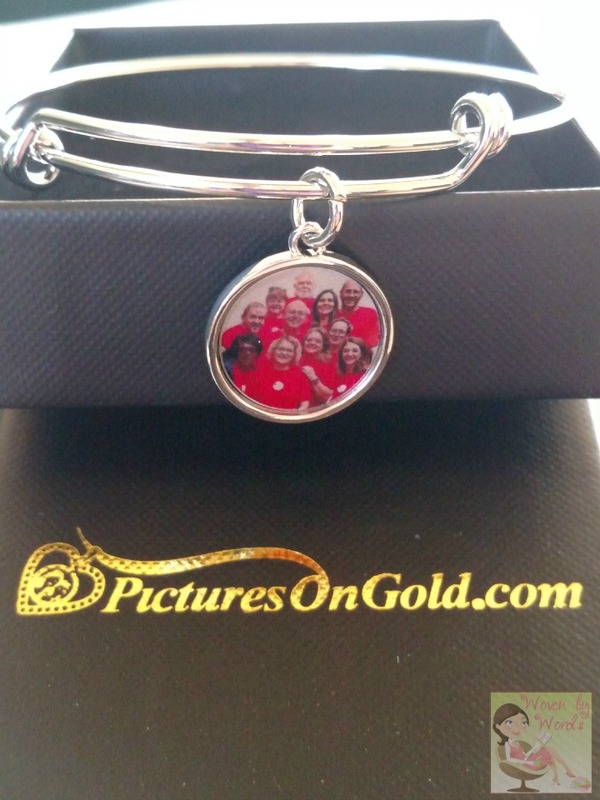 How wonderful it would be to have a PicturesOnGold.com bracelet. I really like this one. I would love to have one with a photo of my parents on it. I really like the bracelet in lieu of a necklace. That's much more my style! I really like that this is a bracelet instead of a necklace. That's much more my style! And the fact that they accommodated your photo request is a bonus. this is such a great product and I would love to own something from them. 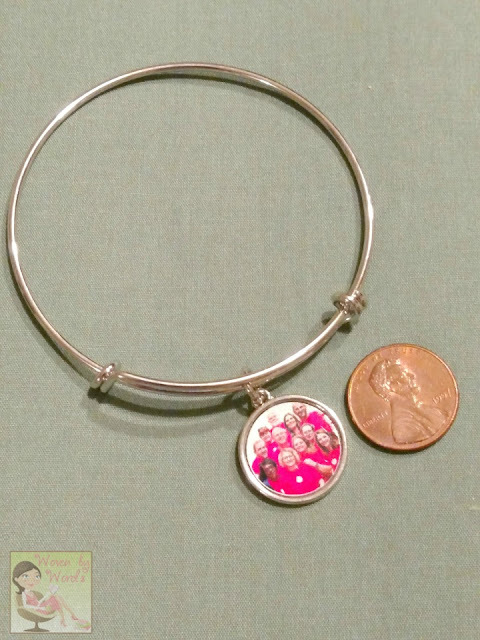 I would personalize my charm for my daughter with a photo of my late husband and her on the day she was born,my late husband passed away 16 1/2 days after she was born.